We have some great news. 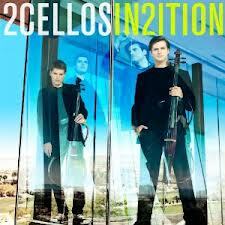 Steve is featured on a bonus track of the new 2Cellos album “In2ition”. 2Cellos are Luka Sulic and Stjepan Hauser, originally from Croatia, they studied classical music together as teenagers then went on to study at different colleges in the UK. The pair were struggling for money so they decided to join forces and do a video featuring Michael Jacksons ‘Smooth Criminal’. The video became a huge You tube hit and caught the attention of Elton John. 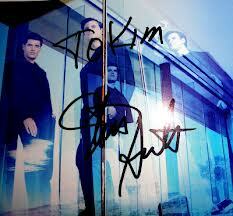 Elton signed them and had them open for him on his 2011 tour. Their first album with Sony Masterworks in 2011 saw a unique mixing of classical cello with rock music; it received critical acclaim and led to the recording of this latest album. Producer Bob Ezrin was brought in and the hybrid sound of cellos teamed with guests and styles from multiple genres resulted in ‘In2ition’. Steve actually did the session, a cover of Sting's ‘Every Breath You Take’ in his own studio in Nashville before we moved to Phoenix. Working from home makes things a little easier for Steve with his eyesight issues. He knows where everything is and can control the lighting etc. So, he recorded this beautiful and tender cover of ‘Every Breath You Take’ with only his guitar melody and the 2cellos on the track. We were very aware that some pretty high profile guests would be featured on this album so we were a little skeptical that his contribution would even be used. When a session player does work for an album there is never any guarantee that it will make it to the final product. But as it turns out, interestingly, there are two different versions of the song ‘Every Breath’ on ‘In2ition’ the first is on track 4 with the 2Cellos doing the melody then again on the bonus track (14) with Steve doing the melody. It has been put together so well by Bob, at the end you hear Steve’s guitar trading the melody with the Cellos, an awesome combination. Certainly a combination that appealed to Steve who loves classical music and it’s instrumentation. This is a good start to what could be a very exciting year for us. 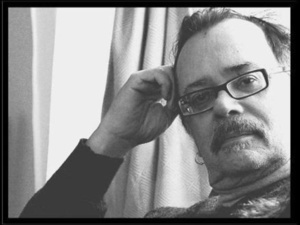 Steve’s album (Manhattan Blues) is coming along wonderfully and is on target for an April release. I am documenting as much as I can on video in Steve’s studio, trying to capture key moments like solo takes and the earliest stages of tunes or arrangements. I love to watch the progression of a recording from the acoustic start to the building of a basic track then all the finishing touches, so I think other people may like to see how that works too. Have to keep a very low profile when I am doing any video as I do not want to disrupt his train of thought in any way. He knows I am recording stuff but never knows when.